Just when Felicity Bell, well-renowned baker and sometime crime reporter, thought that the streets of Happy Bays were safe once again, tragedy strikes. First there’s the nuclear power plant, where a terrorist is plotting revenge on the small Long Island town. Then there’s Mayor MacDonald’s pet parrot Moe who is suddenly kidnapped, and finally Felicity’s best friend Alice’s love life suffers a crushing blow when Hollywood hunk Reece Hudson decides to return to his ex-girlfriend, the socialite Dorothy Valour. 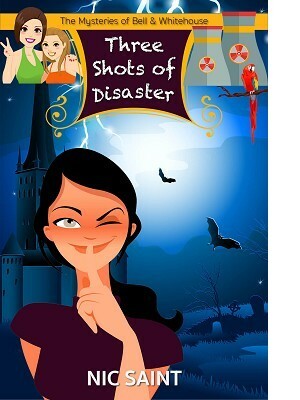 Felicity, Alice, and their band of friends and family are faced with three shots of disaster. And this may well be the end, for even Felicity’s baking skills seem to have deserted her when her muffins turn out inedible, due to a mistake in Granny Bell’s recipe.